There are many reports about how local people are starting to protest at having too many tourists ruin their cities; countryside that is becoming spoiled by too many visitors and the curse that mass tourism can bring. Of course as the biggest industry in the world, said to account for up to 10% of employment globally, it is a very lucrative industry. This beautiful mountain in Peru that was recently 'discovered' is paying the price however. 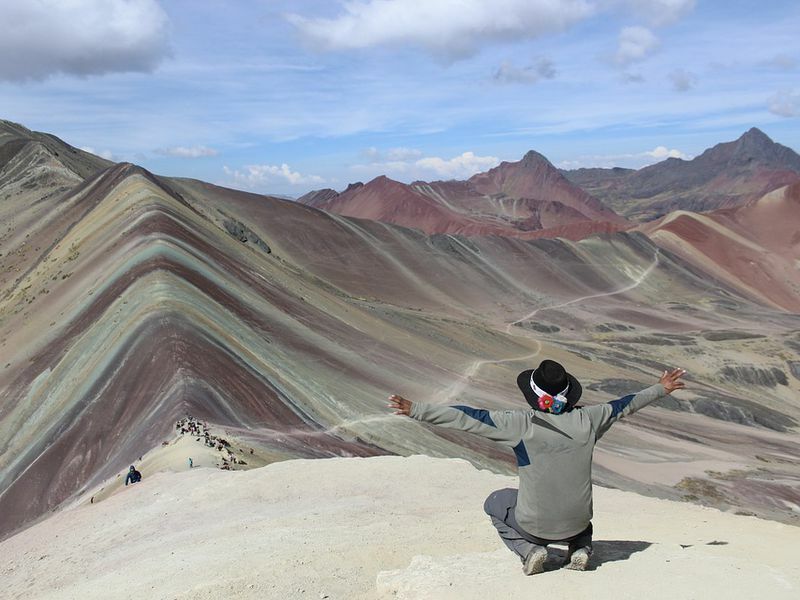 Peru’s Rainbow Mountain could be in danger following a surge in its popularity, with up to 1,000 tourists visiting the colourful ridge every day. This influx of people is eroding the nature there. What do you think can be done to solve problems like these? Do you think there should limits to the number of people visiting such places? How could this be administered? To limit the number of people visiting Upper Mustang in Nepal, you have to pay 500 USD for a permit allowing you ten days in the area. Is this a fair way to restrict tourism? this picture is awesome which country is it ? It is in Peru @hossamz. It was only opened to tourist a few years ago but has become so popular, there is concern that too many visitors will destroy it. I believe that the most effective way to save the local environment in places of mass tourism from a swarm of visitors is to put them (places) out of bounds from time to time. Some countries have already gone this route. Maya Bay, on Koh Phi Phi Leh, will be shut down for four months from June. Boracay in the Philippines has been closed for a couple of weeks already and will stay so until late October this year. So, we'll be able to see the effectiveness of such measurements or lack of them quite soon. What's your stance on the issue @mheredge ? I think this is a good idea @Vok, or a limit to the numbers allowed to visit certain areas. This should be done in a fair way however, and not on the basis of who can pay most. The problem is that people want to make money, so this sort of thing is very difficult to implement until it is at a crisis level. In Bhutan they use price (each person having to spend 250 USD per day) to limit the number of visitors. 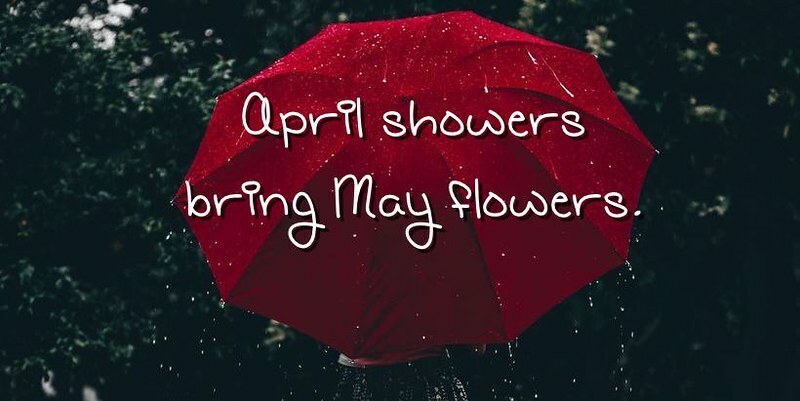 As a result they receive about 30,000 tourists per year, most coming in the months of March-May and September to November, when the weather is not too bad. @mheredge unbelievable!!!! the holly Quran mentioned this scenery of mountains for 1400 years ago. (27) (35:27) (((Do you not see that Allah sent down water from the sky with which We brought forth fruits of diverse hues? In the mountains there are white and red, of diverse hues, and pitchy black;))) _Allah is the name of God_I think it is one of those miracles that proves Mohammad is a true prophet sent from the God. anyway, i agree with @Vok there should be some procedures to prevent these sites from the surge, influx, swarm of tourists. It's so hard to decide what's the right thing to do in this cases... I live these issues everyday because I live in Rome and recently I went to Venice and that's even worst. Much worst. Whats going on? Well, too many tourists makes the city like an amusement park, particularly in the center urban area. The local are starting to express dissent by closing some streets or taking contact with the local administration. Recently they installed turnstiles in order to limitate people's flow. Generally I agree with limitation measures, because we must let future generations to see world's wonders. So I think it's fair to put some limitation in order protect certain sensibles areas. This is true for ancient buildings as venetians and so for naturals ones like those beautiful mountains in Peru. Those wonders risk being ruined for the fortune of big tour operators that are gaining billions. Another example: I love scubadiving. When I first tried scubadive one year ago I immediately fell in love with this sport. So I started to consider going to Red Sea in Egypt wich is (was) famous for his underwater beauty. The experts say in the past there was plenty of beautiful different species to seek for... nowday, no more. Massive tourism politcs had made this tiny paradise empty of life. Prevent is better than cure. But... there's a but. Individuals have the right to go whenever they want. If they want to go in a place but they were stopped from any kind of "security office" could be a liberty restriction. Who will decide those ones are able to travel and those aren't? by one hand we have the necessities to prevent ruining certain area, by the other we could encounter liberties issues. To address the problem of social justice several classes of tickets may be issued, expensive no waiting, cheap advance appointment ones, lottery and auctioned, if the demand really soars. In Jordan we have different a remarkable sites for tourists. Petra is one of the seven wonders of the world which is a complete city carved in the mountain. the city entrance is through 1.200 km narrow gorge in the mountain. they also come for scuba diving in Aqaba's coral reefs. there is also The dead sea which is about to dry up because of wrong practices with nature. I think it is frustrating for locals when their homes are overrun with tourists - but at the same time the majority of tourist hot spots simply wouldn't be able to survive without the boost to the economy that tourism brings, so there's little that can be done really. I would like to see Petra one day @Ali1 . Do you think the number of tourists visit the place should be restricted? The problem is when the tourist industry in a certain place is not properly regulated, whether for the government or private organizations. @Vok no, it probably will not be restricted. if you are interested in ancient civilizations, there is Jarash which is famous for its Roman architecture, with the colonnaded street, beautiful arches, and outdoor theatre. I think if places are very, very busy it should be restricted for safety reasons, but a lot of the time it is okay, and not busy to that extent. @flavioflavs I think the preservation of the planet should come before a so-called liberty to go anywhere one pleases. I agree that some sort of admission charge should be levied but it should be reasonable @Practical_Severard. Like you suggest, maybe a good way to make tickets more affordable is to offer them online, or maybe as prizes. I think if a place becomes to popular, some control is necessary, not only to preserve the place, but also to enhance the experience of visitors. In this day and age, it should be possible to plan ahead and book. Certainly I wouldn't have a problem with this, if I had to queue online so to speak. I also think the best way to limit mass tourism in certain places in to increase the fee stay. That will also mean fewer clients for hotels and restaurants. So, that has to be a balance between preservation of sites and maintaining the tourism economy. When tourism is controlled by fees @Ulys, this makes it only accessible to richer people. Somehow this doesn't seem fair. There needs to be other ways to limit numbers and not just price. For example, you can book tickets to visit certain sites, like the Alhambra in Grenada, up to three months in advance. Not only does this mean no queuing for tickets on the day, but you are then guaranteed admission if it is very crowded. Limiting the number of visitors is essential and in this way, there's not extra cost. > I also think the best way to limit mass tourism in certain places in to increase the fee stay. That will also mean fewer clients for hotels and restaurants. So, that has to be a balance between preservation of sites and maintaining the tourism economy. I read an article about the Venice situation, @Ulys . Many tourists visit that place for less than a day so the local hotels don't make a quid on them. That's a reason among others why the local council is discussing an admission fee. Venice is actually a good example of the overvisited place. I don't agree with making tourism only accessible to richer people, as there are lots of people who would then never be able to see anything at all. Last night I was discussing with a friend some of the festivals that are coming up soon in the south of France. There are many, but some of them have become more tourist attractions than local celebrations. The people from these places are not always happy to see their festival hijacked by outsiders and are occasionally not so welcoming. I have often been to other countries and have felt that I wasn't welcome there, so that might be why. On the whole though I tend to find that places are welcoming. I think the more a place is too crowded with tourists, the less locals are so patience to welcome visitors @GemmaRowlands. When you travel to less popular tourist destinations, even if the facilities are sometimes less sophisticated, the people are much friendlier and the whole experience tends to be a hundred times better. Generally the more popular the place, the more there are tourist traps that are expensive and poor value. That sounds pretty accurate. I do find that if you travel somewhere less "touristy" you need to have a better grasp of local language, and that's my downfall much of the time. This article describes places near to tourist hotspots across Europe that are less crowded. The problem with this is that these areas risk getting blighted by too much tourism too. Bucket lists are blamed as exacerbating the problem of overcrowding. I think there are certain places that are really common on "bucket lists", so I can see why this might cause somewhat of an issue for the more popular places. I wonder how many people are really keen on visiting the mainstream tourist places and not doing so just for ticking the boxes and taking see-I-have-been-there-too kind of photos to share with friends afterwards. Personally, I value more time spent with locals somewhere off the beaten track. This is much more my kind of tourism @Vok. WHich is why I tend to avoid the more famous and crowded tourist hotspots. Locals' guides to places can be interesting but I always worry that by highlighting these so-called 'off-the-beaten-track' places makes them become crowded. Here's one for Brussels. Have you ever been to any of these places @Paulette and @Michouxe? I think a lot of people are more concerned about doing things to show other people they've done them, rather than to actually have the experience.